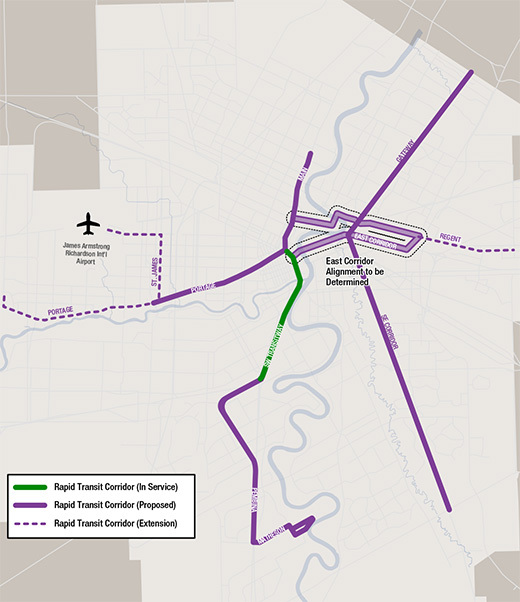 Citizens are invited to attend a public information session, hosted by the City of Winnipeg, to view the plans for the Southwest Rapid Transitway (Stage 2). City staff will be on hand to provide information on design plans, project elements, and construction timelines. Completion of the project will represent a significant step forward in building the transportation network outlined in the City’s Transportation Master Plan, and will help promote the increased densification of Winnipeg by facilitating the future development of several large-scale, infill, transit-oriented developments identified in Our Winnipeg – Complete Communities. 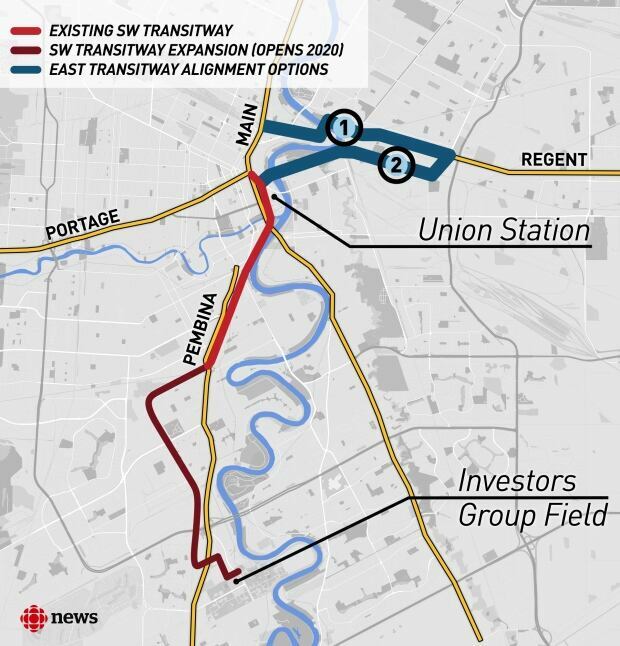 Construction of the Southwest Rapid Transitway (Stage 2) and Pembina Highway Underpass Project is expected to be completed in late 2019. Following a period of testing, training and commissioning, Transit operations on the new transitway are expected to commence in April, 2020. My thanks to CBC News Manitoba for covering this story. Replacing tunnels with overpasses helped shave $120 million from the cost of completing the Southwest Transitway, project managers say. 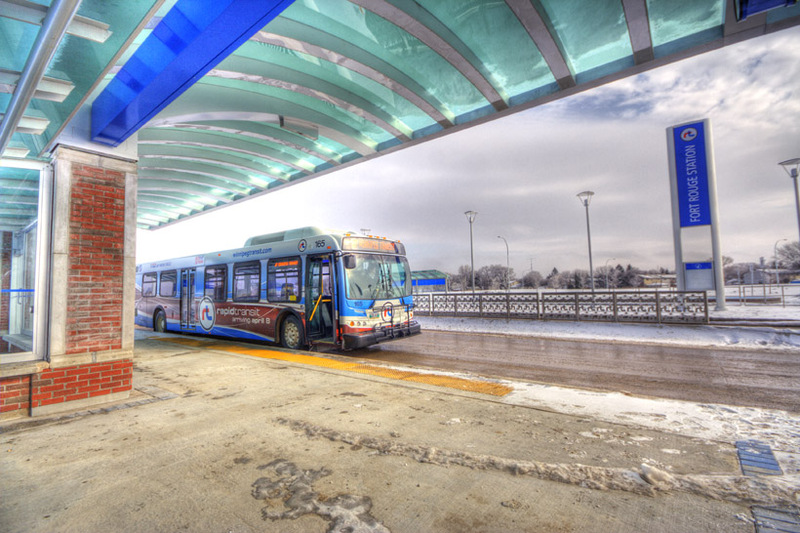 On Monday, Winnipeg Transit unveiled the latest design for a five-year project that involves extending the city’s first transit corridor to the University of Manitoba and widening the Pembina Highway underpass at Jubilee Avenue to six lanes. Last month, the city disclosed the project cost is now pegged at $467 million instead of $587 million. Winnipeg Transit project managers Scott Payne and Jesse Crowder say construction consortium Plenary Roads Winnipeg was able to remove $120 million from the tab by making several changes to the design. The biggest design change involves scrapping plans to build a bus tunnel below a pair of rail lines between Chevrier Boulevard and Plaza Drive. An overpass will cover the rail lines instead. A second tweak gets rid of a bike-and-pedestrian tunnel initially planned for a ramp at Jubilee Avenue underpass. The active-transportation corridor will be re-routed alongside the ramp instead. Winnipeg Transit asset manager Scott Payne, the outgoing project manager responsible for the Southwest Transitway, said these changes emerged as a result of a competitive city search for a private partner capable of designing, building, financing and maintaining the 7.6-kilometre second phase of the bus corridor. “It brought in companies from right across Canada and even the United States to bid on this project,” Payne said of the search. Details of the design changes will be presented to the public on Tuesday at an open house slated for 4 to 7 p.m. at Canad Inns Fort Garry, 1824 Pembina Hwy. The design now calls for a total of seven overpasses or bridges but no tunnels whatsoever. It also calls for a relocated Brenda Leipsic Dog Park featuring proper draining, walking paths and a paved parking lot, Crowder and Payne said. It still calls for nine new rapid-transit stations, including a bus-corridor stop at Investors Group Field. Winnipeg Transit hopes that stop — along with a section of transitway that runs through the former Southwood Golf Course land — will be ready in time for the 2017 Canadian Football League season, which begins in June, and the Canada Summer Games later that summer. ​Work on the Southwood section will begin in August. Winnipeg Transit says Plenary Roads will start widening Pembina Highway to six lanes later this year. “We had a lot of incentives in the contract to minimize those lane disruptions [and] lane closures and we’re going to have to see [that] the contractor keeps a minimum amount of lanes open,” said Crowder, the incoming Southwest Transitway project manager. ​The project is expected to be substantially complete in October 2019 and be open in 2020.